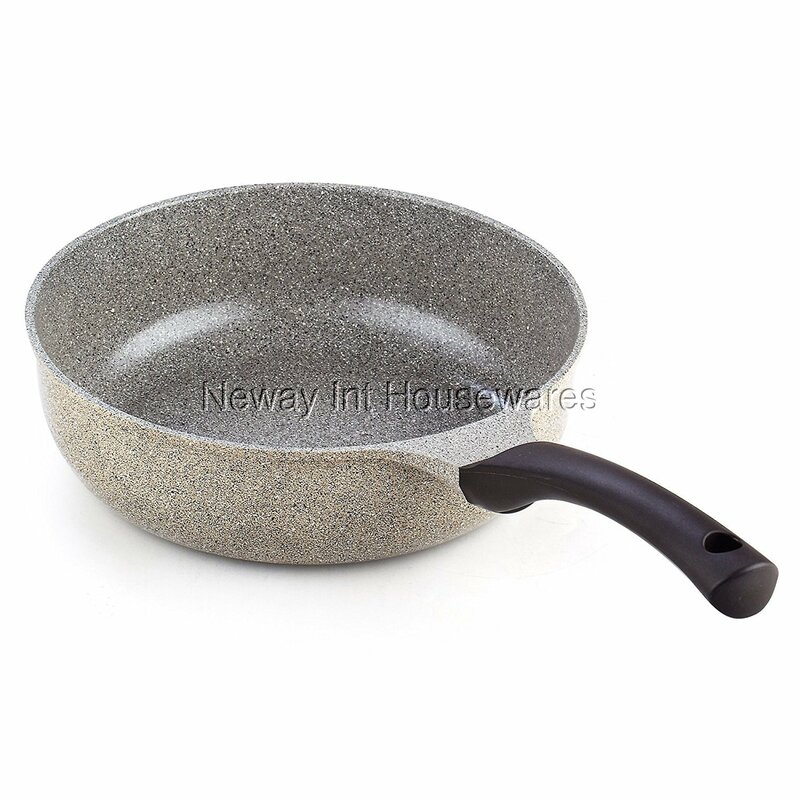 ​The Cook N Home 9.5-Inch/24cm Nonstick Ceramic Deep Sauté Skillet Stir Fry Pan has a smooth ceramic coating for easy food release/cleaning and allows for healthy cooking. PTFE and PFOA free. Made of fine grade aluminum for quick/even heat distribution and prevents hot spots. Durable Bakelite handle with hole for hanging stays cool and is comfortable to hold. Wide top, narrow bottom, and shallow to hold a large amount of food for sautéing, frying, and more. Light in weight and has a sturdy handle for moving/toss cooking. Not Induction compatible and not oven safe. Works on gas, electric, glass, halogen, ceramic, etc. Dishwasher safe.